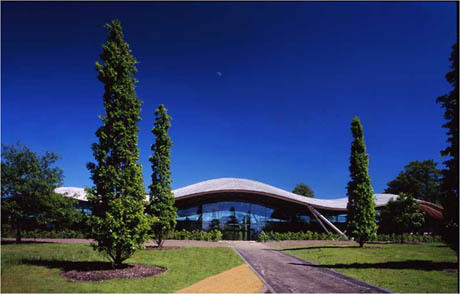 This iconic building and Stirling Prize (2007) nominee is recognisable due to its unique timber roof structure, which uses timber felled in the park itself. This creates a synergy with the surrounding parks landscape. The building itself utilises a large area of low energy underfloor heating coupled with condensing gas boilers and an automatic cross-flow ventilation system for natural summertime cooling.